The riding has been excellent with abundant fresh snow to be had by all. The stability is rising with the new snow just in time for a rapid warm-up & another blast of moisture invites itself to the BWRA. Todays sunshine & temps will allow for loose wet & cornice fall avalanche activity, especially in the afternoon hours. 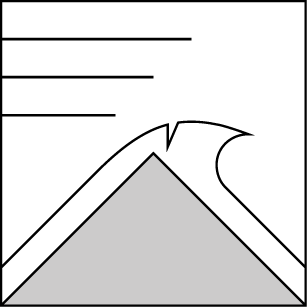 Isolated wind slabs are in the landscape on leeward aspects (NW-N-E) & should be treated with respect. Warm temperatures & intense solar radiation will keep us on our toes for the next two days. The upcoming spring equinox will bring us longer daylight hours as the arc of the sun will progress higher in the sky. Aspects that get more direct sun will have a greater chance of avalanche activity & warm ambient temps can loosen snow on North facing slopes as well. Look for diurnal refreezes at night with afternoon spring conditions. Cornices are quite large in the BWRA & will be shedding themselves during afternoon warm-ups. Whether below or on top of a ridgeline be cautious of falling cornices, they can entrain much more snow than anticipated. 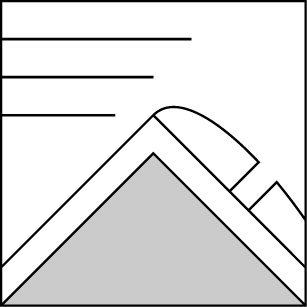 A cornice by itself can weigh tons, when it falls the mass can trigger & even step-down into older weak layers on slopes increasing the destructive potential. The strong winds associated with the last two storms has transported snow to places & stiffened the snowpack in others. The slabs are becoming more stable & even stubborn to initiate failures, but in the right spot there is still a likelihood of triggering. In the alpine & near treeline these slabs are most prominent on NW-N-E aspects. With the strong SW winds we are able to find larger drifts & cornices on leeward N-NE aspects. Wind scabbing, surface hoar & loose dry snow can be observed on more shaded areas. The snowpack is growing in March to keep us on our sleds a little longer. Use this time to hone your backcountry skills, we are here to help. Ask your riding partners to check the forecast & make informed group decisions together. 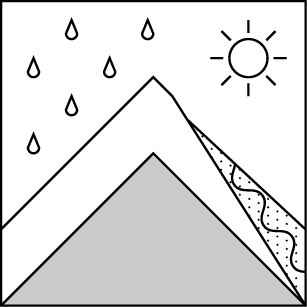 We have seen an avalanche cycle for the past few days as things begin to stabilize in the mountains. People are mostly avoiding areas with recent avalanche activity. The signs of mid-storm avalanches are even hard to detect in areas where blowing snow has covered any crown remnants. Yesterday we noticed a large debris pile from the "Repeat Offender" above Leavitt Rd. The avalanche stopped just shy of the road but traveled a good 1000' feet, its crown was unnoticeable. A quick shot of sun & warm temperatures today into tomorrow with light winds expected. Near mid 40F degrees tomorrow will start the next round of precipitation for Mono County. An AR (atmospheric river) event is in store for Wed-Thu with continuing snow showers through the weekend. Initial rain showers at higher elevations will transition to moderate snow showers as the trend cools. Weather: Mostly sunny Partly cloudy with increasing clouds. Mostly cloudy with snow showers & possible rain in the afternoon.